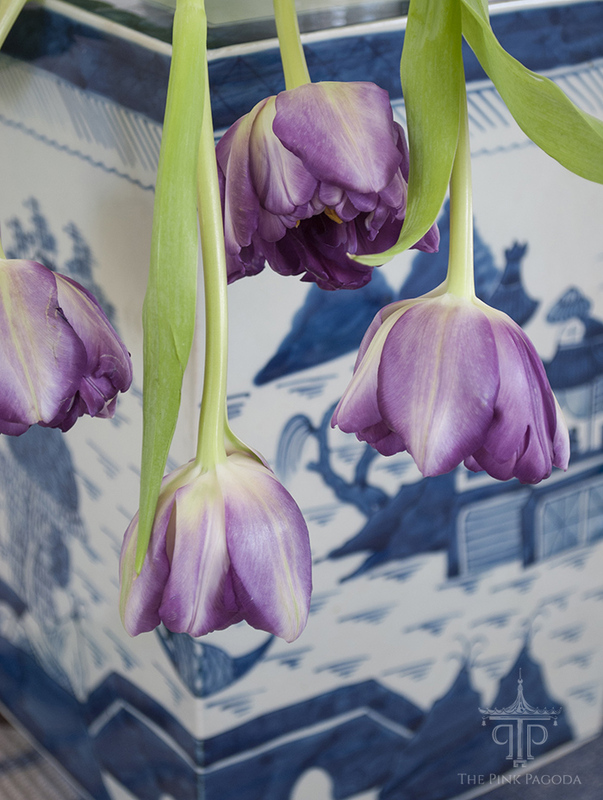 Last weekend, I picked up these gorgeous purple tulips at Cebolla Fine Flowers, here in Dallas on Lovers Lane. They had a fantastic tulip special with an incredible selection of amazing colors. 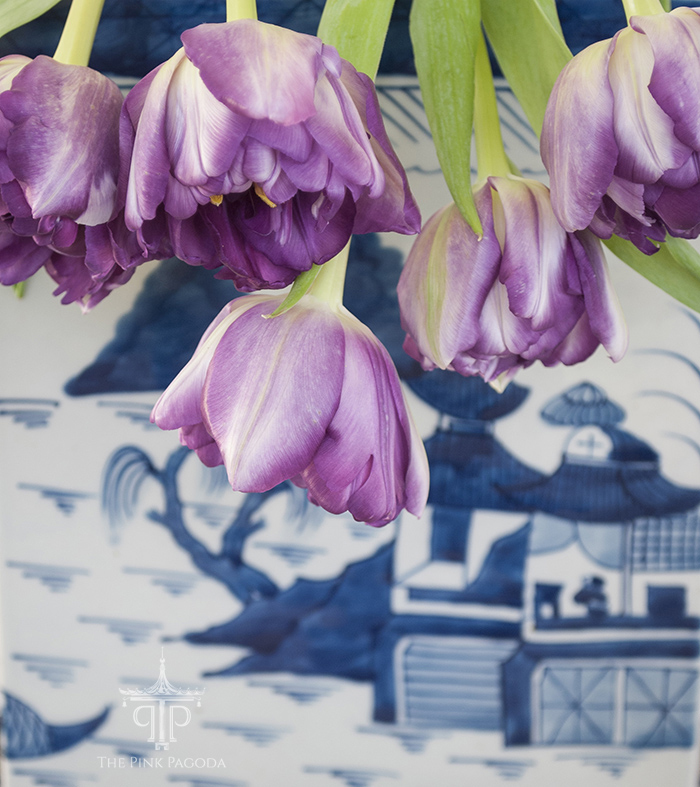 The tulips were so pretty in my blue and white tea tin, I couldn't resist snapping photos. 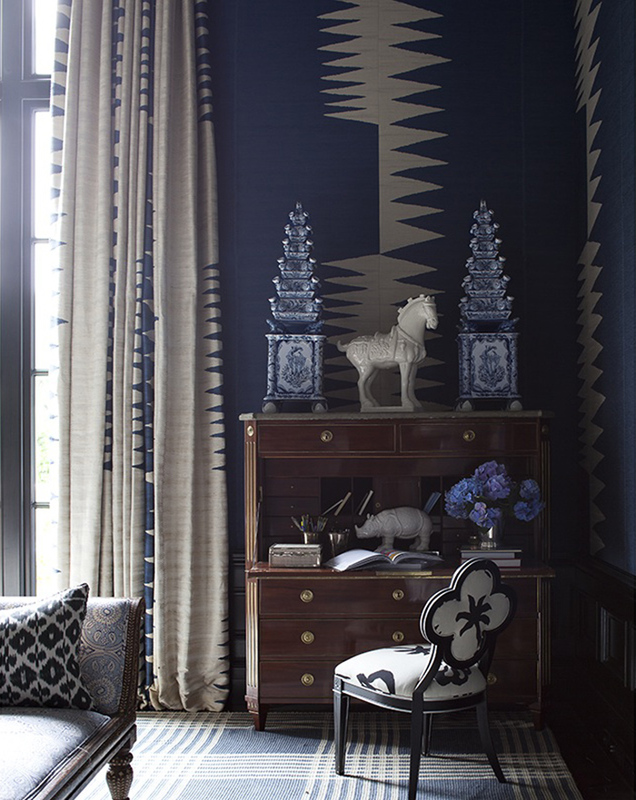 This to-die-for table is from one of my favorite ever books, Sophistication is Overrated, by Susan Palma and Babs Horner. 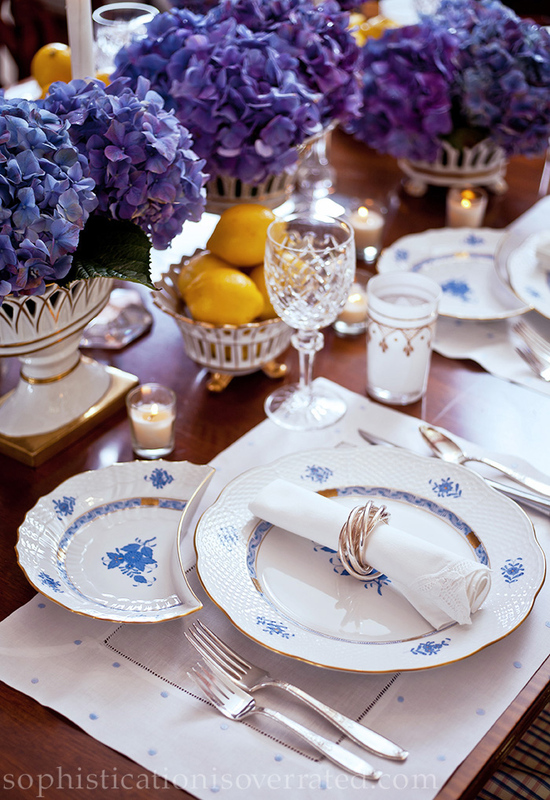 The purple hydrangea with blue and white linens and Herend dinnerware is breathtaking. 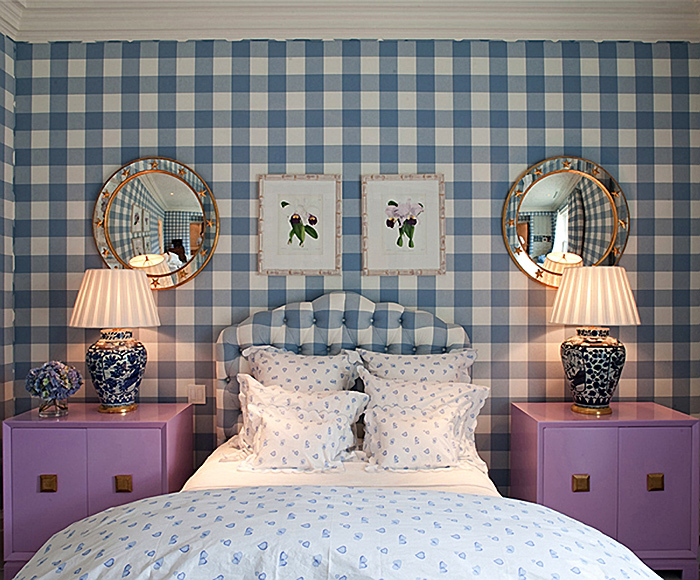 While decidedly not a purple fan, I've been intrigued by these two rooms for years. With the addition of blue and white, the purple doesn't bother me a bit. In fact, I really like it. 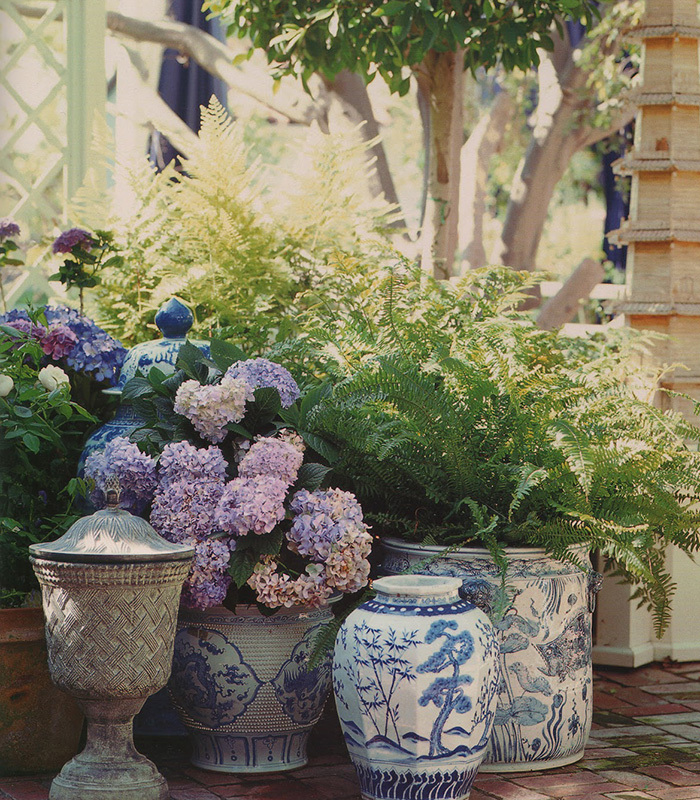 In this all blue space, the little addition of a bit of purple in the hydrangea is perfect. 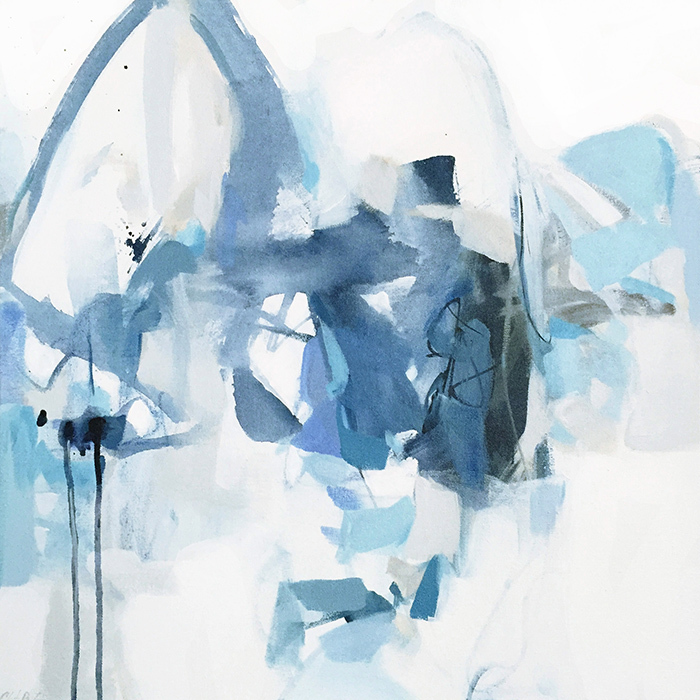 "White Rice," this brand new painting by Christina Baker, is spectacular. 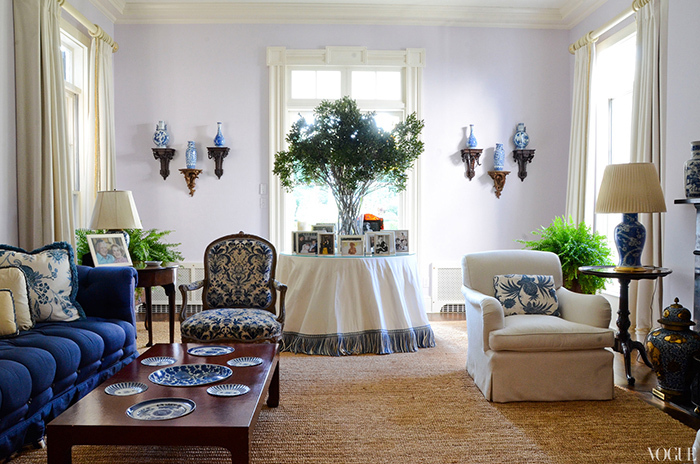 The new palette Christina's created with blues and a hint of purple is so sophisticated and beautiful. 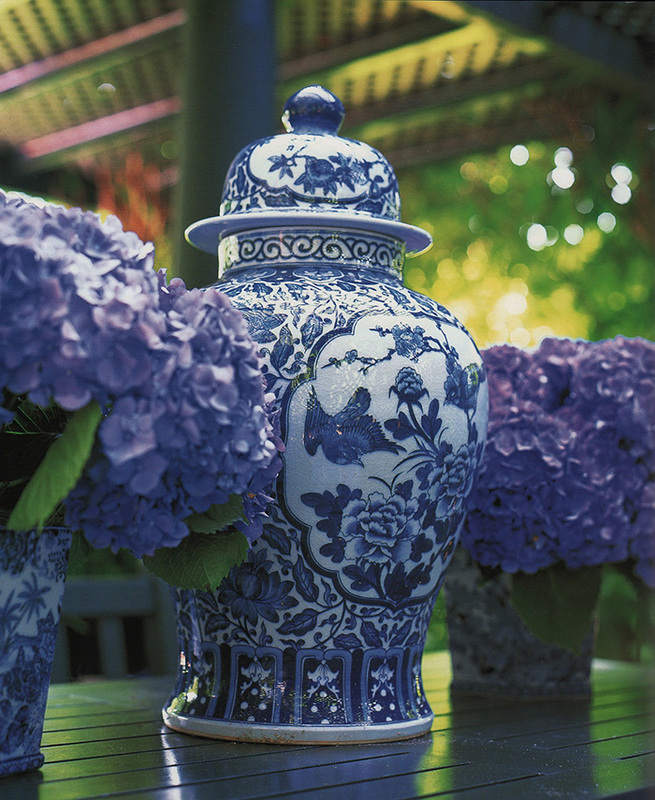 And, we're back where we began with blue and white Chinese porcelain or ceramics and purple flowers. 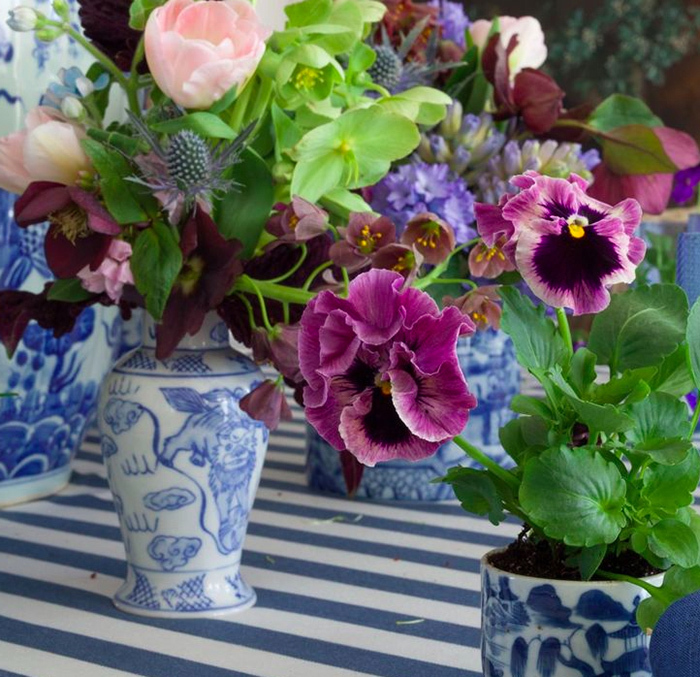 Isn't it a gorgeous combination?